A few days ago you bought a Samsung smartphone and today you wanted to connect it to your PC to backup some photos but the device is not detected by PC? Do not worry! You're probably stumbled upon an ordinary driver problem, to solve it we will take a few minutes, you'll see in this article. Samsung Devices: Galaxy S7 Edge/S7, S6 Edge/S6/S5/S4/S3, Galaxy Note 7/5/4/3/2 and many others. Operating System : Windows, Mac OS X, iOS, Android and Blackberry. 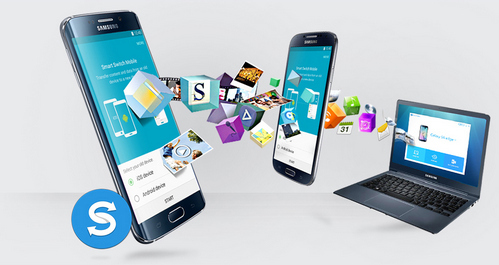 Smart Switch is the latest software released by Samsung for the management of its portable devices. It is compatible with most of the devices equipped with Android 4.3+ and allows you to perform various operations: backup sms, apps,contacts, photos, videos and settings on your computer; data synchronization with Microsoft Outlook on Windows and with Contacts and Calendar apps on the Mac; Firmware update and restore the drivers from the computer. 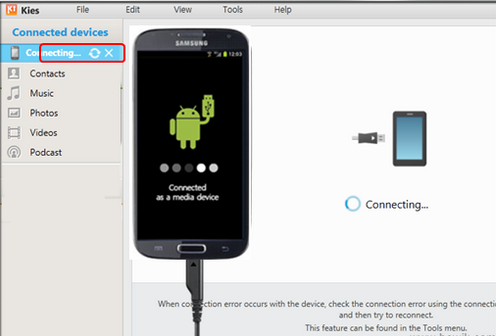 You can download Samsung Smart Switch on your computer through the official site of Samsung or from here (PC | Mac). After complete the download, install and launch the program. It's advisable that whether you use a Windows PC or Mac, please restart your computer before connecting Samsung device for the first time. At this point, you should be able to connect Samsung mobile phone to computer and access to all backup and synchronization features of Smart Switches with no problems. Note: If you have already taken steps to install Smart Switch but your computer does not recognize correctly the Smartphone, went to the menu More > Reinstall the device driver program and click on Confirmation to reinstall Samsung drivers. Samsung KIES is the Smart Switch predecessor and is available in two versions: 2.x that is compatible with Samsung devices running Android 4.2.2 or lower and 3.x that is intended for terminals with Android 4.3 or later. The software, which is available for Windows and Mac, allows you to manage your Samsung Smartphone to 360 degrees by synchronizing the data such as contacts, music, photos, and videos. Also, it allows you to update the firmware of the device and restore the Samsung drivers for your PC. You can download Samsung KIES on your PC through the official site of Samsung. After complete the download, install and launch the program. It's advisable that whether you use a Windows PC or Mac PC please restarts your PC before connecting your Samsung device for the first time. At this point, you should be able to connect Samsung mobile phone to PC and access to all backup and synchronization features of Samsung KIES with no problems. Note: If you have already installed KIES but the computer can't detect your phone or tablet, went to the menu Tools > Error troubleshoot connection problems and presses the button Start to reinstall Samsung drivers on your PC.